I remember when the cheese lovers started telling me what was "real" cheese and what was "fake." I remember taking them seriously because they were talking about cheese cultures (ha. pun!) I knew to be important: Italian, French, Swiss, Spanish, etc. "Cheese is alive!" these experts insisted. And anything that was not the product of natural fermentation and cave-aging was unacceptable. Eating the rind was important. The worship of bacteria in the process was expected. The presence of insect larvae was not necessarily a negative. Out of a world that had room for Cheeze Whiz, handi-snacks, and this bit by Mitch Hedberg, the celebration of authentic, non-adulterated cheeses was completely legitimate. But, I think things might have gotten carried away. We have lost sight of a basic fact: liking one thing––even if it is an adulterated version of an original––does not mean you can't like something else, including the original. And there's room for other kinds of tastes, other kinds of products, and even a little industrial-food-style synthetic varieties of things that go by the same name as artisanal products of the old world. Case in point: American cheese. Perhaps its "fake." Perhaps it is the product of ingredients that are anathema in traditionally-made cheeses. Perhaps it isn't for purists. But have you tried it in a grilled cheese? On a cheeseburger? Melted over scrambled eggs? I think it's time to treat American cheese justly as a valid and delicious product of American culinary ingenuity, even if it is also the product of industrial foodways. Let us give American cheese its due by using it for what it has to offer us, and let's let ourselves off the hook when we occasionally accept the mild alternative of American cheese in place of myriad cases where pretense wins over taste. Everything must belong somewhere, and American cheese gets to enjoy its own status as a part of the food pantheon. But perhaps you have, like me, followed the tyranny of taste-makers and lost your instinct to use individually wrapped cheese slices, the stuff in the unrefrigerated yellow box or the (slightly) more dignified square-sliced version. Here's how to reclaim your love of the yellow stuff. This is something that even the most opinionated cheese purist has to grant: the very concept of cheese melting is partially a result of the way that American cheese oozes when warm. This is something that should be deeply, deeply celebrated. 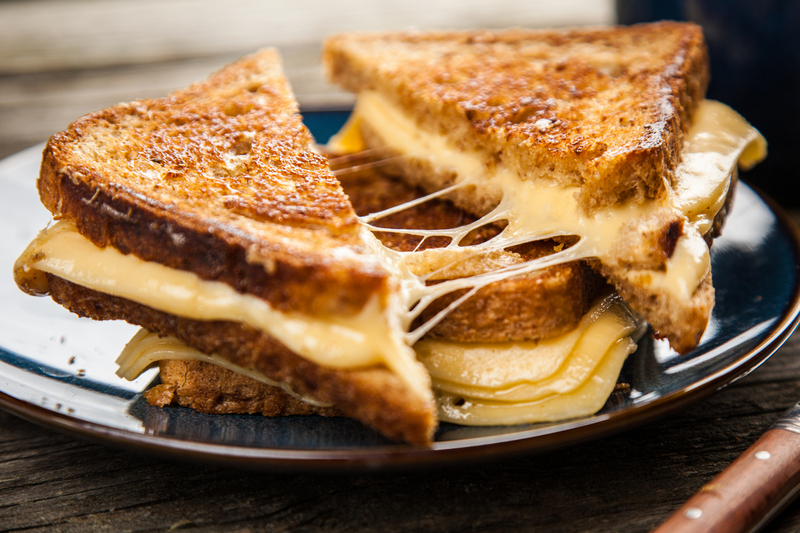 If you haven't recently experienced the deep and profound joy in stuffing a few slices of American cheese in between two pieces of buttered and griddled bread, treat yourself to an old fashioned grilled cheese. This is a sandwich that has been beautified and stuffed with all manner of artisanal cheeses, and they make solid sandwiches. But melted American enjoys a unique spot as a classic part of this most simple of sandwiches. It took me well into adulthood to realize that some foods I was just always going to like, even if they have no merit as part of a grown adult. Sometimes, it's okay to love what you love. And there is something about American cheese and bologna on white bread that just scratches an itch for me. The point is not that you should eat this sandwich. The point is that you should like what you like, even if it is a cliche. Plainness doesn't have to be a vice. I love blue cheese. I love all varieties of blue cheese. I find a wheel of blue cheese, with its inoculated punches of blue fungus, to be one of the most amazing things that human beings have come up with to do to dairy products. And yet, there came a time when I realized something: blue cheese on a burger doesn't do it for me. And while I have enjoyed burgers with other kinds of cheese, the simple reality is that American cheese is the eponymous cheese in "cheeseburger." A smashed burger with extra cheese is a thing of supreme beauty––I, we, all of us should say it proudly! This is related to the previous, because the cheeseburger is not an accident or a special case. 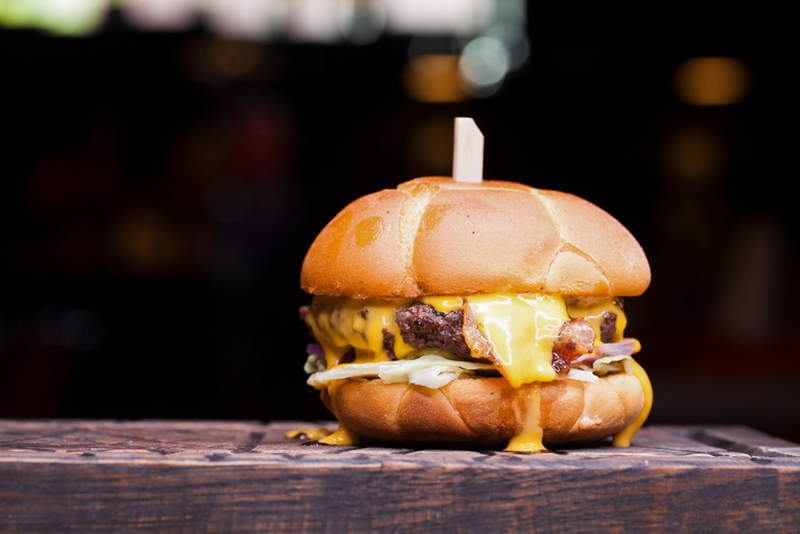 It turns out that beef is the PERFECT venue for American cheese. Beyond cheeseburgers, it melts perfectly over cheese steaks, chili, sloppy joes, meatloaf sandwiches (oh my god! meatloaf sandwiches! ), even a plain roast beef. Celebrity chef Wiley Dufrense even admits to shot-gunning Jean Jorges Vongerichten's beef tartare in American cheese while he worked at the Bellagio in Las Vegas. Beef and American cheese. It's a thing. 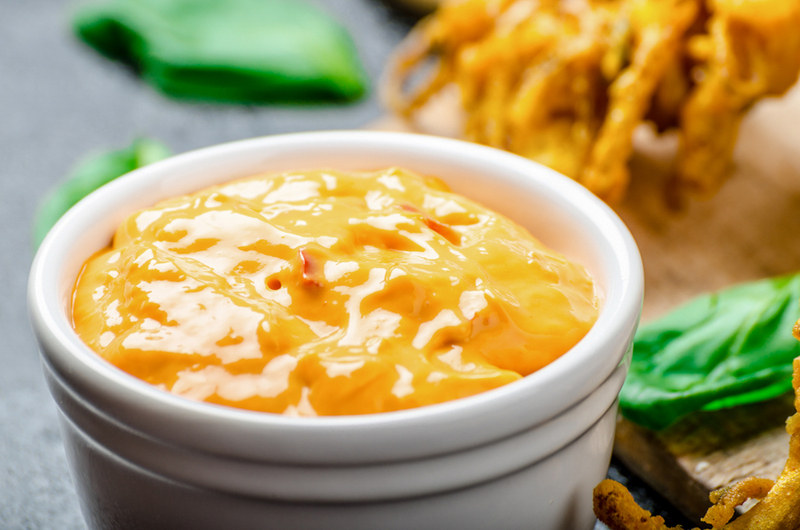 The idea that you can buy a can of something and a block of something––both of which are shelf-stable––and what comes out is a cheesy, chili/tomato dip birthed of the gods and perfect for every single possible gathering of people is part of what makes American cheese amazing. And its time to stop avoiding an amazing things. American cheese is extraordinary. And we're lucky to have it. Melt it, shred it, spray it if you will. But the main thing is: enjoy it.